There will be a standard edition of the game that will release digitally and physically too. The physical Day One edition will include a printed map of the Exiled Lands and an in-game weapon: Conan’s Atlantean Sword. 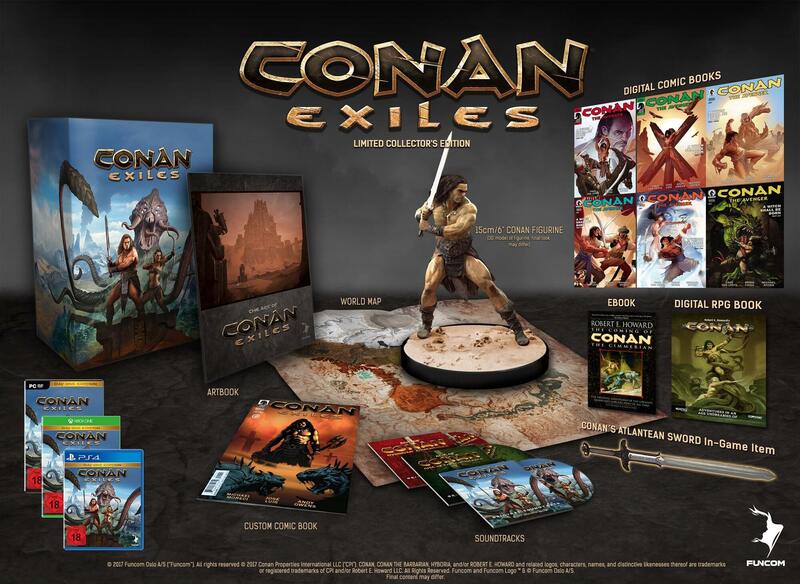 Players who pre-order the digital version of the title (pre-orders are available at a later date) will instead receive the in-game Conan’s Royal Armor. Both digital and Day One physical editions will cost US$49.99 or regional equivalent. You'll be able to get your hands on the title when it launches on May 8th, 2018.